As you see, proof that I can learn is that I can now differentiate between DC Collectibles and DC Universe! First up… Okay, clarification – the Doomsday offered to all DCU subscribers is Doomsday in his containment suit, which is a toy we have never seen before! “unleashed” Doomsday is his classic look. 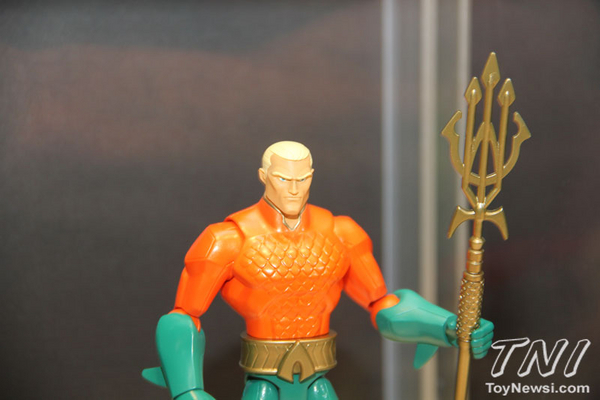 Also notable is their attempt to make more 4″ DC Universe figures. And looking at this photo, I don’t see knee or elbow articulation, which fills me with dread. But hey, goofy cartoon Azrael! Seeing this Jokerbot does not in any way shatter my suspension of disbelief. They're also doing 4" figures with 14 points of articulation based off of the Arkham game series and the movies. What a surprise, if you want Ice to go with your Fire you have to subscribe. Didn't see that one coming. Also, I have to agree, is it me or is containment suit Doomsday slightly cooler than the unleashed version? I really like both versions of Doomsday, but yeah Fengschwing, I think the bound version may slightly edge out the unleashed. 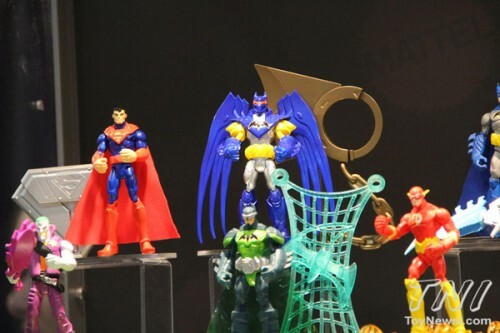 I think those new 6" DC figures (total heroes?) look pretty fun too. Well, we've gotten several versions of Regular Doomsday before, but never a bound one. The Total Heroes figures were a pleasant surprise for me as well. They all pass the 'squint test', the chunky style makes them look like lots of fun to play with and they have joints in all the basic spots. 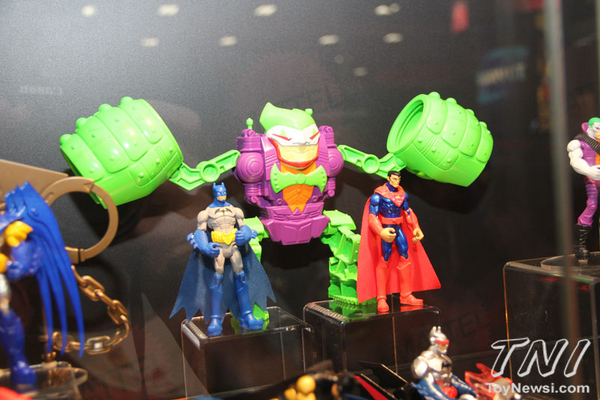 I'm not sure why they're making a Black Manta for the line as a MattyCollector exclusive though. The target market for this line and Matty wouldn't seem to have enough overlap. Those pics with the Joker robot and the Azrael Batman are from the Power Attack Batman line, not total heroes or DC Multiverse. I'm confused. DC subs Need to stay on tier 1 to get the contained Doomsday. If they Reach Tier 2 we lose Contained Doomsday to get the "Unleashed version" or do we get Both? If we reach Tier 2, we might get BOTH in time! This was the major question everyone has. The language on the sub sign-up is unclear as ever. Someone will have to ask in a Q&A. I also want to know if we're getting the Batman Beyond with wings we were promised. I heard that we aren't. From what I read from TG, he isn't different enough from the original version to put in the sub. He only has a closed mouth and wings. It's readily apparent that the retail lines are going to be for the kiddies now, and I couldn't be less interested. Look at the hands on those ugly 4" things–that was the joke about the Infinite Heroes line, and they didn't even fix it. No more DCUC-style figures except in the sub. Hopefully people who cherry-pick the sub or get their figures at retail will sign up and get us one (pretty sure last) year of figures and either Doomsday.